Where in the city can you watch the final season premiere of one of TV’s most beloved series? If there’s one thing a faithful viewer of Game of Thrones has learned over the show’s seven seasons, it’s how to deal with loss. Because while you loved getting to know and root for the show’s noble kings, brave adventurers, and cunning schemers, you’ve also had to watch those same characters be brutally and senselessly murdered, often in the most surprising and emotionally painful ways that some very successful creative professionals could possibly think of. Now, in a final act of audience torture, the series is coming to an end. All shows must die. You don’t want to be alone at a time like this, and it’s harder than you might think to find bars that get HBO. So we’ve collected the best places in New York to surround yourself with friends, family, and strangers as you watch the show go beyond the wall one last time. In case you don’t already know (unlikely! ), the final season premieres April 14. The Gowanus bar Parklife is Game of Thrones central for a certain part of Brooklyn. It’s been showing reruns of the series’s seventh season in a weekly event called “The (Sunday) Night’s Watch,” and it held a special GoT bingo night on March 27. So don’t be surprised if there are a few regulars in this airy, brick-lined space a little more emotionally invested in the show than you might see elsewhere. There’s lots going on in Parklife outside of Westeros: Order Mexican food from Antojitos El Atoradero and see if you can squeeze in some curling upstairs afterward. 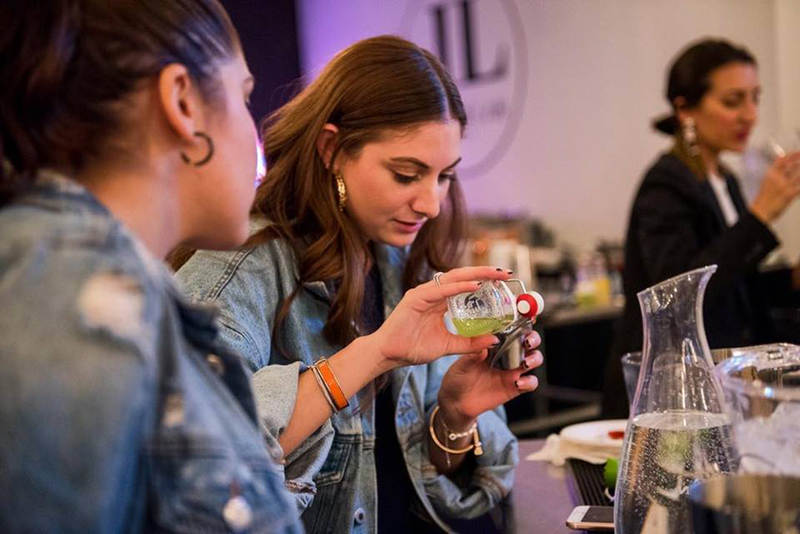 Parklife, 636 Degraw Street, Gowanus; 7–9 p.m.
SoHo’s Liquor Lab, which offers classes in cocktail making, is having a special Game of Thrones–themed night for the final season premiere. For $50, guests will learn to create three drinks—The Rains of Castamere, North of the Wall, and the Search for the Grey Lady—as well as a pizza buffet and several very tightly scheduled breaks, when you’re allowed to talk to your friends. Liquor Lab, 138 Wooster Street (between Prince and West Houston Streets), SoHo; 7:30–10 p.m. 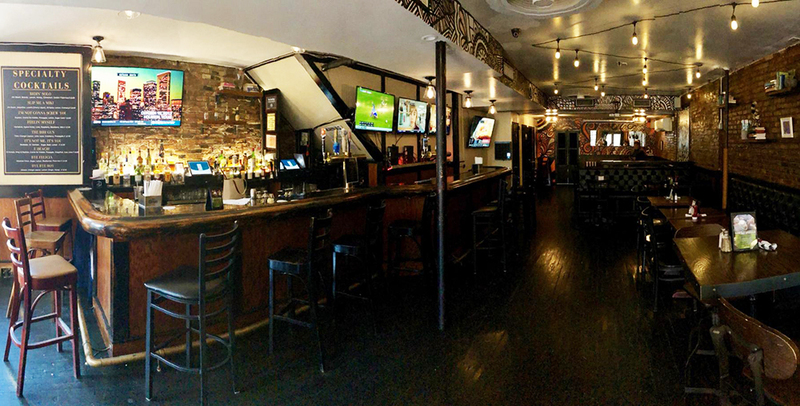 If you’re forced to work on the weekend, meet an aunt for dinner, or otherwise have the misfortune to find yourself in midtown this Sunday night, stop into the bar at the Arlo NoMad. The hotel is airing the show, no RSVP required. The Arlo is spacious and stylishly designed, and it promises “craft cocktails, popcorn, and candy galore” for the viewing. Hopefully, tissues will also be readily available. Arlo Nomad, 11 East 31st Street (between Madison and Fifth Avenues), NoMad; 9–11 p.m. Unlike Jon Snow, our experts know something. Download the WSWD app to learn more! 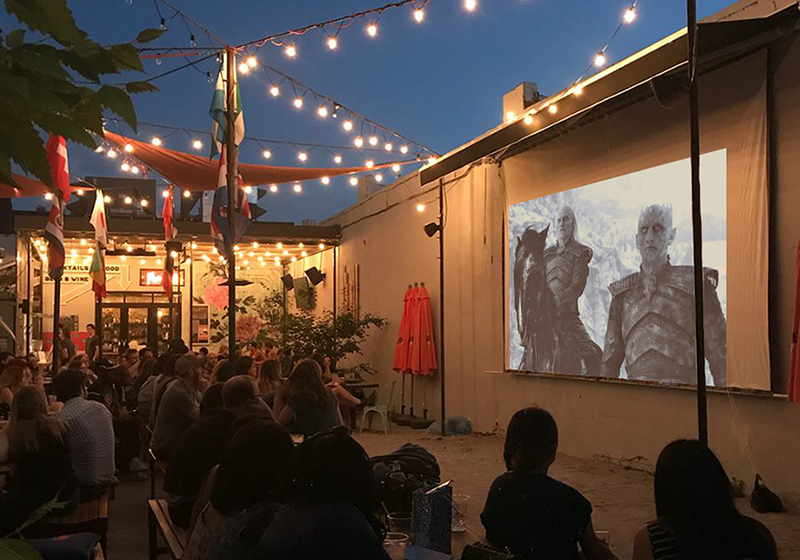 Watch what’s sure to be an emotionally taxing, if not all-out-heartbreaking, start to the final chapter of the Song of Ice and Fire on six huge screens at this Alphabet City tavern. Order from basically the perfect bar-food menu (nachos, wings, mozzarella sticks) to help distract yourself from what you know to be true in your heart: All men must die. East Village Tavern, 158 Avenue C (between East 9th and 10th Streets), East Village; 9 p.m. If you’re part of that very specific demographic who loves Game of Thrones enough to endure a whole night of comedy about it—and would rather do that than actually watch the show itself—Lower East Side venue Caveat has you covered. Comedians will play GoT characters in an all-out preshow party and talk about topics like “What war inspired the Battle of the Bastards?” and “Does Jon Snow’s booty really fit the golden ratio?” Welcome to nerd paradise. Caveat, 21A Clinton Street (between Stanton and East Houston Streets), Lower East Side; 8:30 p.m.
Westeros is huge, a fact that was made abundantly clear during the most enjoyable parts of GoT’s early years. Characters would spend a whole season on the road, just trying to make it to their destination alive. In this sense, there’s no better way to get in the mood for the finale than with a hike in the woods. Join this GoT-themed walk in New Jersey, where hikers are “strongly encouraged to come in costume or wear any Game of Thrones paraphernalia, or hike in character.” So get ready to talk about those evil Lannisters, discuss whose bannerman you are, and argue about the most defensible areas of the Reach. 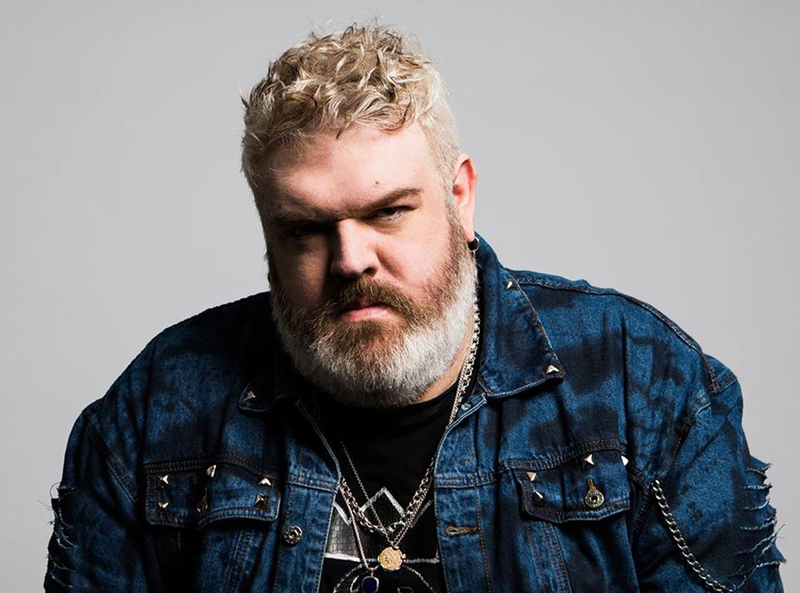 Hudson/Palisades Interstate Park, 1 Alpine Approach Road, Alpine, New Jersey; 9:30 a.m.–1 p.m.
Kristian Nairn has very skillfully, and against all odds, parlayed his turn as Hodor, the good-natured giant with a monosyllabic vocabulary, into a successful DJ career. He’s pretty good, especially if you like European house! Come watch him do a set the night before the finale, as he drops the beat like Robin Arryn used to drop people who displeased him out of the Moon Door. Saturday, April 13; Schimanski, 54 North 11th Street, Williamsburg; 9 p.m.
Got your sword? Check. Shield? Check. Best cocktail in town? You’ll have to download the WSWD app for that!